The words were blunt and the meaning crystal clear. Loren Frobose didn’t want his son, Bob, to continue the family farm, believing his son could find an easier way to make a living in the 1970s. A few years of struggling with the farm had made Loren jaded — so much so that he sold all the cattle and scoffed when his grandsons started showing cattle at the Pemberville Free Fair. 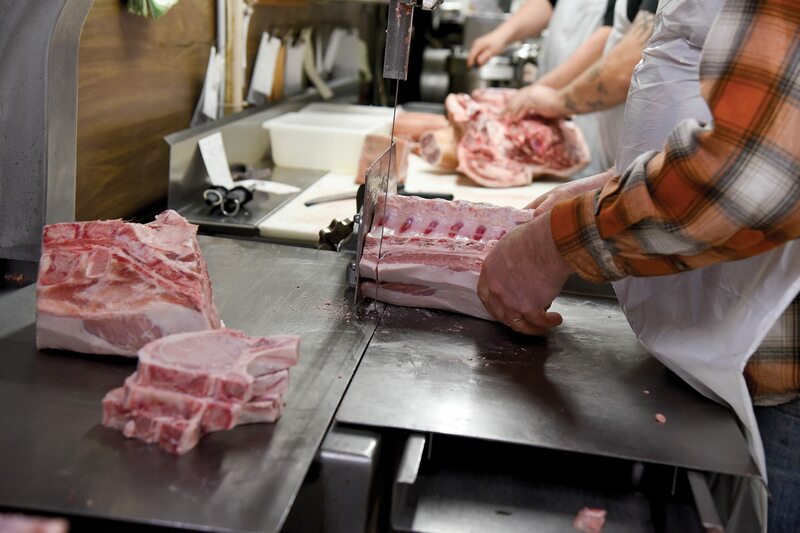 According to Ben Frobose, the meat cutters at Frobose Meat Locker have a combined total of 200 years experience crafting cuts of meat, such as these pork chops, at the family-owned and operated purveyor of beef and pork in Pemberville. 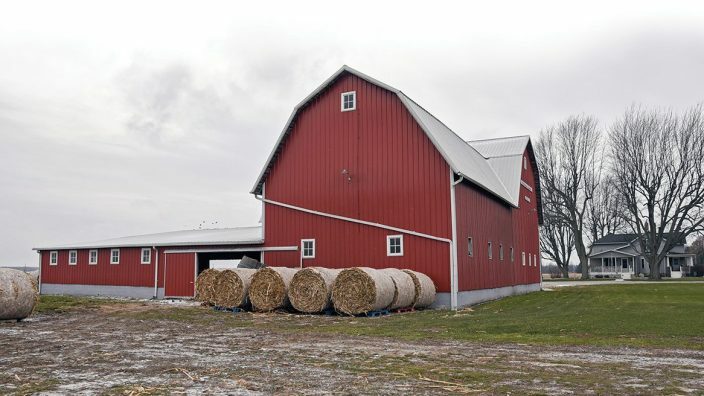 But Bob, a Wood County Farm Bureau member, felt a yearning to bring cattle back to the farm that had been in the family since the mid-1800s. He chose learning a trade instead of college and became a meat cutter at a grocery store about 35 miles away and later a meat supervisor for 10 grocery stores in Ohio, Indiana and Michigan. When his father died in 1989, his mother had a question: “Do you want some cattle back in the barn?” Bob jumped on the opportunity, and it wasn’t long before the barn was filled with livestock again. 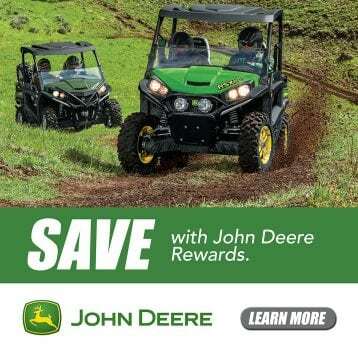 The return of the cattle resulted in a major transformation for the family, which started marketing its product from field to grocery. Today, the Frobose name hangs not only on the farm but also a butcher shop and grocery store in Pemberville. Cattle and hogs raised on the family farm are sold at the two stores, and the entire Frobose family is involved in the businesses. 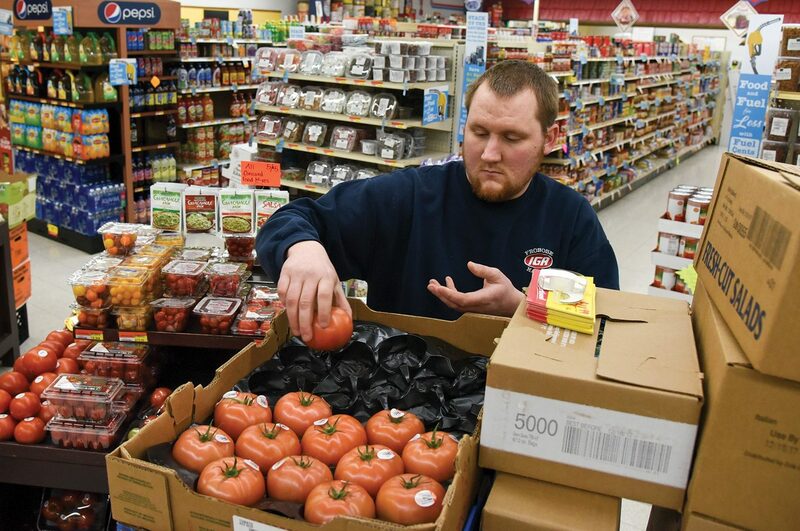 Zach Frobose restocks tomatoes at the family’s IGA-affiliated grocery store. “Dad would be disappointed I didn’t listen to him but so proud to see our name on the businesses and grandsons making a good living,” Bob said of his father. Working hard has been the longtime mantra for Bob who for eight years worked more than 90 hours a week. He’d get up at 3 a.m., travel to his meat supervisor job and then return to Pemberville to help run Frobose Meat Locker, an established butcher shop the family bought in 1999. Paying off debt for the new family business was his motivation. Bob’s son Ben manages the 4,000 square-foot Meat Locker, which is named after the walk-in freezer that contains a couple of hundred lockers that customers can rent monthly to safely keep their large cuts of meat. The store features a deli counter, fresh meat case and freezers filled with pork, chicken, beef and buffalo. In the back is a smoke house that runs 24 hours a day, six days a week and on this day is smoking habanero peppers. Three generations of the Frobose clan: from left, Jake Frobose, farm manager; Elaine Frobose, co-owner; Ben Frobose, operations supervisor; Abby Frobose with daughter Molly, and Bob Frobose, co-owner, at the family farm. The family is proud of the unique recipes created over the years. Leafing through the “recipe bible,” Ben lists some of the more unusual bratwurst flavors: cajun seafood, loaded baked potato, Louisiana creole, white chicken chili, dill pickle and bloody mary. 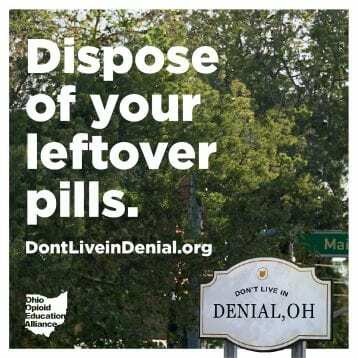 “That’s our niche. We make over 200 different handmade products and over 80 different flavors of brats,” Ben said as workers nearby cut up meat in the store. 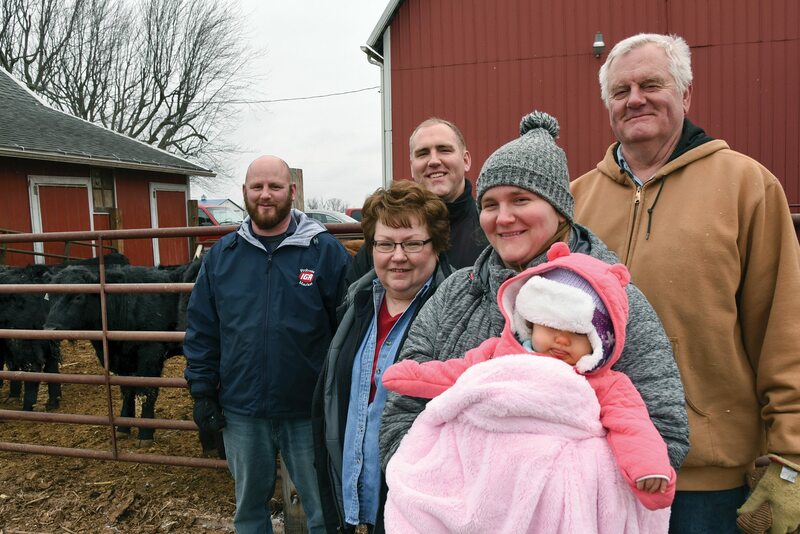 The family raises its Angus-Simmental cattle following Ohio Signature Beef protocols (all natural and without use of hormones or antibiotics) and hauls them nearly two hours away to a meat processing plant in Ashland County. The meat is then returned to the butcher shop where it’s custom cut into smaller pieces for sale at both the Meat Locker and Frobose Market IGA, an established grocery store that the family bought six years ago. 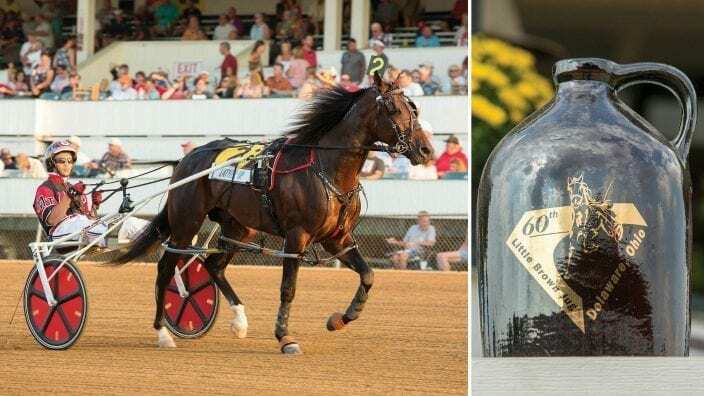 In 2015, Kentucky-based Laurel Grocery Co., a full-service wholesaler of groceries, meat, produce and general merchandise, named Bob and his wife, Elaine, retailer of the year and their son Jake manager of the year, noting that the store’s weekly sales were in the top five of the 275 stores. Long-time employees Todd Murphy, forefront, a Frobose cousin, and Mark Warnke, prepare pork for the retail counter. Running the grocery store is a true family affair. On this day, Elaine is in the front office working the books while Bob is in the back slicing deli meat. Their son Zach, who is in charge of produce, is stocking the purple sweet potato display, while Jake, who recently returned from taking the family’s hogs to be processed, is staffing the lottery counter because the store is short staffed. Bob and Elaine’s daughter, Abby, is back at the farm, keeping an eye on the animals. 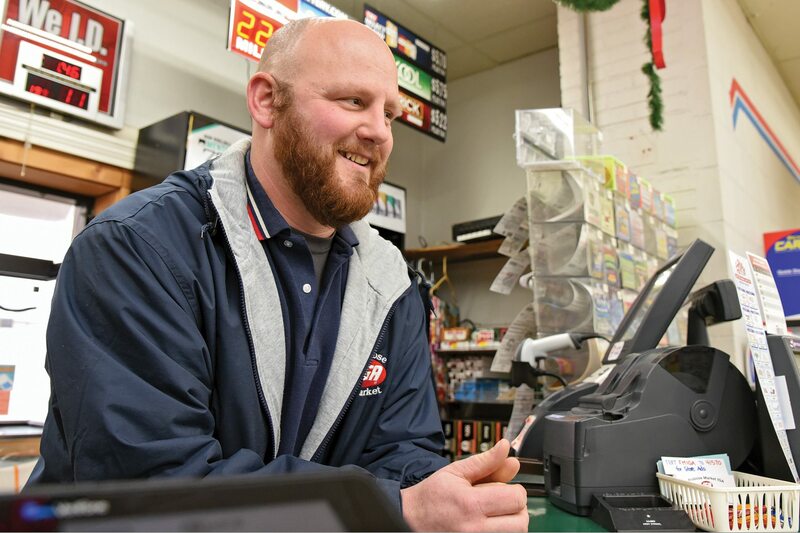 Bob, who pauses briefly to greet a customer by his first name, said the family works hard to give back to the community that has supported it for so many years. The grocery store stocks local items such as Dei Fratelli tomatoes and sauces that are canned just up the street at Hirzel Canning Co. 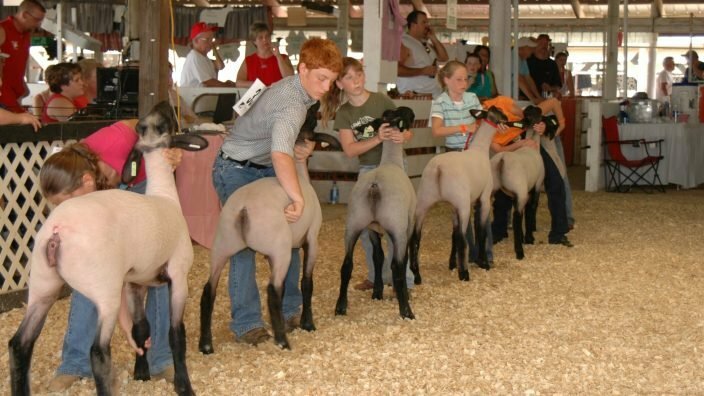 The family buys grain to feed its livestock from area farmers and donates meat for local events. The Froboses also provide jobs for about 40 residents. Every September they host Sausage Fest, a thank you party on the farm for about 400 friends, vendors, customers and employees. Jake Frobose fills in behind the customer service desk at the family’s IGA. For Bob and Elaine, nicknamed the “CEOs of the businesses,” they love the strong work ethic they’ve passed on to their children and six young grandchildren. Over the years, Bob Frobose has seen his share of meat processing plants shut down. He feels fortunate that he has a good working relationship with the E.R. Boliantz Co. and can get his cattle to the Ashland plant in a timely manner. “We wish there was something closer but there’s not a lot for small or medium size operations,” he said. 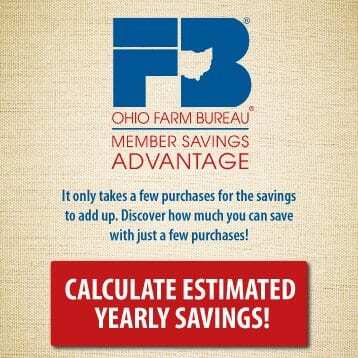 Frobose’s comments capture livestock producers’ frustrations about the shortage of meat processors in Ohio. 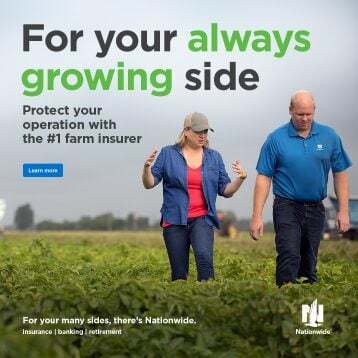 Many have either gone out of business or have long waiting lists — so long that some farmers make appointments the day their animals are born. 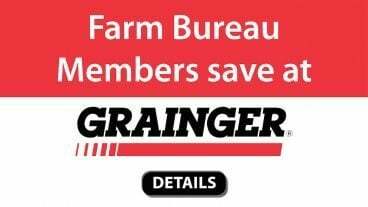 “There is a shortage of meat processors — parts of the state have no processors available. 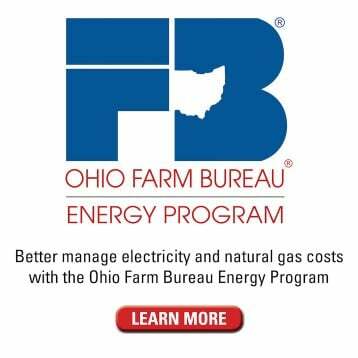 Plus plants, especially smaller ones, have trouble getting employees to work for them,” said Roger High, Ohio Farm Bureau’s director of livestock policy. 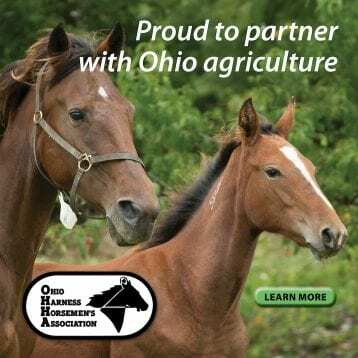 Elizabeth Harsh, executive director of the Ohio Cattlemen’s Association, said there are many different reasons why the meat processing industry is struggling to keep up with demand. 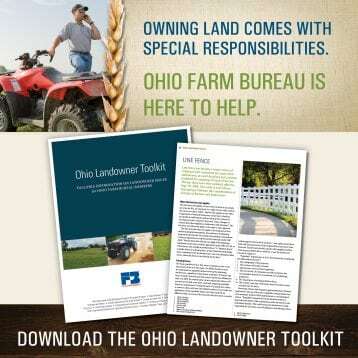 The Ohio Department of Agriculture’s Division of Meat Inspection regulates 275 meat and poultry plants. There are 188 meat, poultry and egg product plants inspected by the U.S. Department of Agriculture.